The music of the future is the music of the past. It is where the Alpha and the Omega come back together, in an Archaic/Novel Cosmogenesis, the reinstigation and interaction with the original music hologram of creation. In other words lets go online with the galactic disk dance floor.A musical revolution or a machine that would induce 7.82-8 hz in its beholders may propel mankind into an internal Revolution, And it is here.It refers to external spiritual energy and can also refer to prana, or the life energy that is the source of kundalini. Cosmic energy is thought to be a vital source that animates all forms of life and maintains the balance of the entire cosmos.Cosmic energy is also known as the energy of Supreme Consciousness and Intelligence. It is present everywhere at all times. People need this energy in order to maintain balance in their lives, and they can purposely receive it by practicing spirituality. It can also be received through breathing techniques, meditation, yoga, tai chi, or other similar exercises.Cosmic energy keeps flowing, no matter what. But there are some specific ideas on how to receive it and rekindle one’s relationship with the cosmos. We are all made up of cosmic energy. Everything you see, smell, taste, and touch is made up of energy. Everything that surround us,our environment, our thoughts and feelings; these items are all pure energy. Even where there appears to be nothing, like empty space, there is energy. Everything in the universe and beyond is made up of chi—energy, the universal force. Luckily we can access this knowledge and use cosmic energy in all areas of our lives. (a “C” tone in hertz) is a perfect harmonic of the speed of light, which is 144,000 nautical miles (144,000 minutes of arc per Earth grid second) in the vacuum of space. Each of these harmonics are literally a mirror, or a cascade of mirrors within mirrors, that 8 hz can look into. For example 144 is 18 x 8 hz, and 72 is 9 x 8 hz.The way that light travels in space is thus a 144 decimal harmonic (144:144,000),The archaic Egyptian instruments that have been unearthed, so far, are largely tuned to 432 hz. In ancient Greece (the school book original place for music) their instruments were predominantly tuned at 432 hz. Within the archaic Greek Eleusenian Mysteries, Orpheus is the god of music, death and rebirth, and was the keeper of the Ambrosia and the music of transformation (his instruments were tuned at 432 hz).Cosmic energy is the life force that is existent everywhere. It is present in the cosmos, between the galaxies, the molecules and in the space. It is essential to maintain the order of our life and expand our consciousness. Cosmic energy is received by being at peace with one’s own self and living in the present moment. Cosmic Energy is another name for Life Force Energy. It is the energy flowing throughout everything.Cosmic energy is referred to as the life force and the energy that maintains the balance of the entire cosmos.Cosmic Energy is responsible for maintaining order and balance throughout the Cosmos. It makes up you and everything else in existence and it is the space.Cosmic energy is also known as the energy of supreme consciousness and intelligence and we are surrounded by it everywhere and all the time.Cosmic Energy is essential for you as a physical and spiritual being. It is key to living a happy and healthy life. It is key to awakening spiritually, psychically, and it is key to ascending, and expanding consciousness.Cosmic Energy is essential for life to continue in an individual and collective sense. 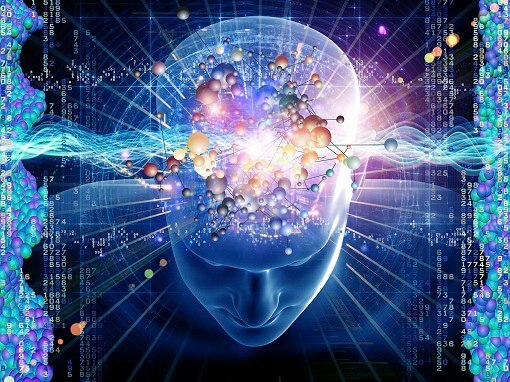 It is the fuel for action, life, and being.Cosmic Energy heals and improves your mind, body, and spirit when you connect with it and it boosts intellect and intuition.Our body and mind are surrounded with an energy field which is nourished by cosmic energy. This positive energy always helps in the healing of the physical, mental and spiritual self. Cosmic energy reduces negativity, aids in complete healing and creates harmony in life. Cosmic energy enters through the mind and meditation helps the mind to be more focused to receive it. Cosmic energy enters our individual mind-body system through the chackras and supports the human energy field. In most humans chackras are at least partially closed most of the time because of the distractions in the mind like anxiety, fear, worry, stress and negative emotions.During meditation, your consciousness is able to transcend your body and mind, allowing Cosmic Energy to flow into your being. Chakras are energy centers, or portals in the human energy field. Located along the central channel of the body from the base of the spine to the top of the head, they are conceived of as whirling, wheel-like vortex through which universal/cosmic energy flows into and out of a person.There are seven major chakras, plus many minor ones. Each chakra corresponds to specific glands, organs, and facets of your being.Energy flows through the chakra system in two ways. First, it flows up and down along the central channel, connecting the chakras. Second, it flows horizontally, in an exchange of energy with the cosmos. Chakras can become blocked or imbalanced. This has a significant impact on the entire energy system.Vocal toning the chakras is a powerful way to help restore balance and flow to your chakra system.When you meditate, the mind and body have the tendency to become one. This helps the physical and spiritual self to receive the energy and helps in cosmic energy healing. Experts in cosmic energy healing also suggest that you can channelize cosmic energy through vibration of the music and frequency of the tone as well.The ancient Greek philosopher say: Each celestial body, in fact each and every atom, produces a particular sound on account of its movement, its rhythm or vibration. All these sounds and vibrations form a universal harmony in which each element, while having its own function and character, contributes to the whole. Everything, including your mind and body, is in a constant state of vibration. Sound is a vibration that resonates with the soul, which can be felt in every cell of our body. Sound has the power to heal not only on a physical level but also on emotional and spiritual levels.Each sound helps in healing of the organs related to that specific chakra. Everything, including your mind and body, is in a constant state of vibration. Two primary elements of vibration are sound, and color. There are optimum ranges of vibration, and those ranges are called resonance. When we are in resonance, we are in balance. One of the most effective ways to use Chakra music to heal the mind and body is to realize that every every cell in your body absorbs and emits sound, with a specific resonate sound frequency. The most direct way to influence the resonance of the body with sound healing music is through the Chakras. There are numerous sound that seem to resonate the chakras. Among the most popular are the use of vowels and the use of mantras. The seven energy centers in our body or chakras have their own frequency, and certain sounds have the vibration power to tap into those chakra frequencies, and bring it into balance and harmony. These sounds awaken a specific emotional state and wisdom within us — starting from the root into the pelvis, the solar plexus, heart, throat, third eye, and crown of the head.This use of vowels seem to be highly effective in balancing the chakras. The Sacred Vowel are considered sacred in many different traditions and Mystery Schools throughout the planet, including ancient Egyptians, Hebrew, Islamic, Tibetan, Japanese and Native American. There are a number of different systems of Sacred Vowels to balance the chakras. An alternative method of resonating the chakras is to use the Bija Mantras, the Sanskrit letters from the Vedic traditions, which by themselves are said to balance and align the chakras. There are many other aspects of using sound to resonate the chakras as well. Each chakra in the Vedic tradition is also associated with a particular element. Music and sound in general have strong healing properties, but it is the human voice that carries the strongest healing power of any musical instrument.”Toning” is using the voice specifically as a healing instrument. It’s not chanting or singing. In toning you create a drawn-out vowel sound or syllable. It’s just a sound, rather than a word. To do it, you pick a note and hold it for a while, letting the vibration of the sound resonate in your body. Another aspect of sonic chakra resonance has to do with the actual frequency or keynote of each chakra. There a multitudinous different keynotes and scales with regard to this. I often will simply sound the vowels on a monotone (in the same key) and let the harmonic (and the specific formant of the vowel) create the chakra resonance. There are various musical instruments that resonate with each chakra. The root chakra is related to drums, tabla and musical instruments of similar kind, and the strong beats of these instruments awakens this chakra. The navel chakra is activated by trumpets, pipes, electric guitar etc. Most of the organs related to this chakra are hollow like the female uterus and intestines, thus the instruments which use the modulation of wind are hollow as well and it awakens the sacral chakra. The solar plexus is stimulated by string instruments like violin, guitar, cello etc. The solar plexus is the area which is surrounded with organs which have pouch like formation like the stomach, the liver, pancreas, thus the instruments which have a “belly” like violin and guitar, help in its activation.The heart chakra resonates with softer string instruments like harp, piano, violin etc. This is the seat of love in our energetic body, and the instruments mentioned, invariably “play with the strings of the heart” and thus raise the energy level of this chakra. The throat chakra, which is related to speech and expression of emotions, is energized by flutes and other wind instruments. The third eye loves the sound of bells, chimes and synthesizers as the neurons in the brain react to these subtle sounds and get active. The crown chakra is energized by the sound of a conch shell. Practicing music as a vocal or instrumental activity is a wonderful and effortless way to harmonize and heal one’s physical, emotional and spiritual bodies. 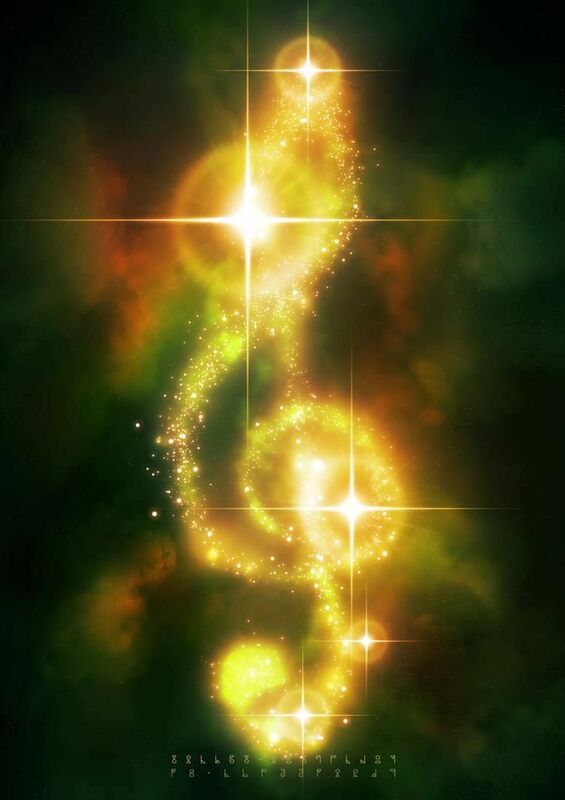 Music can also be used for chakra balancing, but it depends upon the type of music. Sound is vibration, hence music is vibration. Music and sound, good or bad, influence us and impact our energy systems. Sound, either as music, musical notes or chanting, can be used for chakra balancing. Repetition supports bringing the body, mind, and soul into a meditative state, where healing occurs, and creates a continuous vibrational environment. Of particular note is that the fundamental frequencies used for this system are harmonically related–that is the notes are the natural result of the geometric vibrations of a given string (brought within a single octave). The tuning is different than that of a keyboard (which utilizes a C that vibrates at 261 Hz). The notes that are createdcreated from this harmonically related scale are based upon the harmonics created from the fundamental notes of the note C that vibrates at 256 cycles per second (and then having the harmonics transposed down so that the fit within the octave of that C note). 256 Hz. is a harmonic of 1 cycle a second. Many believe this keynote to be in natural resonance with many of the frequencies of the Earth itself. Some belief it is a harmonic of the actual frequency of the Earth. This table gives some basics about the chakras and the two types of sounds associated with each. The first sound is the vowel, and the second is the “bija,” or sacred sound, associated with the chakra. The “notes” are indicated in the “do re mi fa sol la ti” scale that nearly everyone is familiar with. Different forms of sound therapy have been used by many cultures for thousands of years. Sound vibrations influence us on a physical/etheric, emotional/astral, mental/causal, and spiritual level. 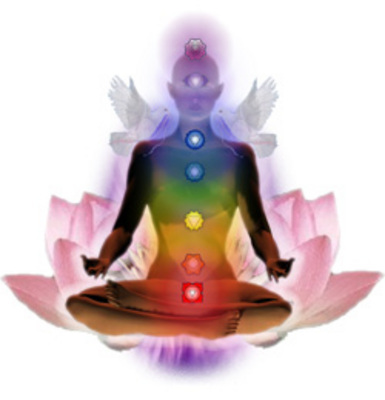 Our body and chakra centers resonate at certain vibrations or sound frequencies. If any part of our body or chakra is out of balance, it can gradually be brought back into balance by listening to a sound frequency for the corresponding body part or chakra. Through the use of sound therapy eventually any disturbances in the body or chakras will soon resonate to the vibration thus producing the right frequency in the body’s organ or chakra center.Cosmic energy with the power of the Music can help in healing you from inside out. The human mind and body are inscribed in an energy field that is nourished by cosmic energy. Human activities produce both positive and negative energy and when negative energy increases, we are faced with health problems. Music is an art, entertainment, pleasure, and … medicine for the body and soul. 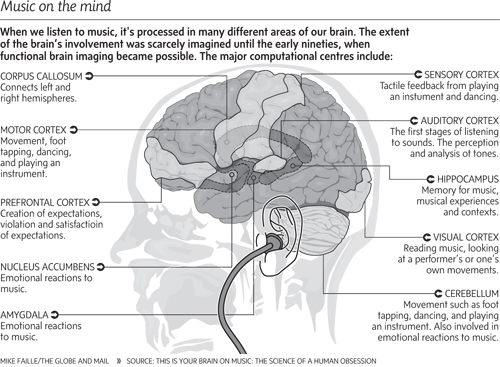 Playing music is one of the few activities that involves using the whole brain. 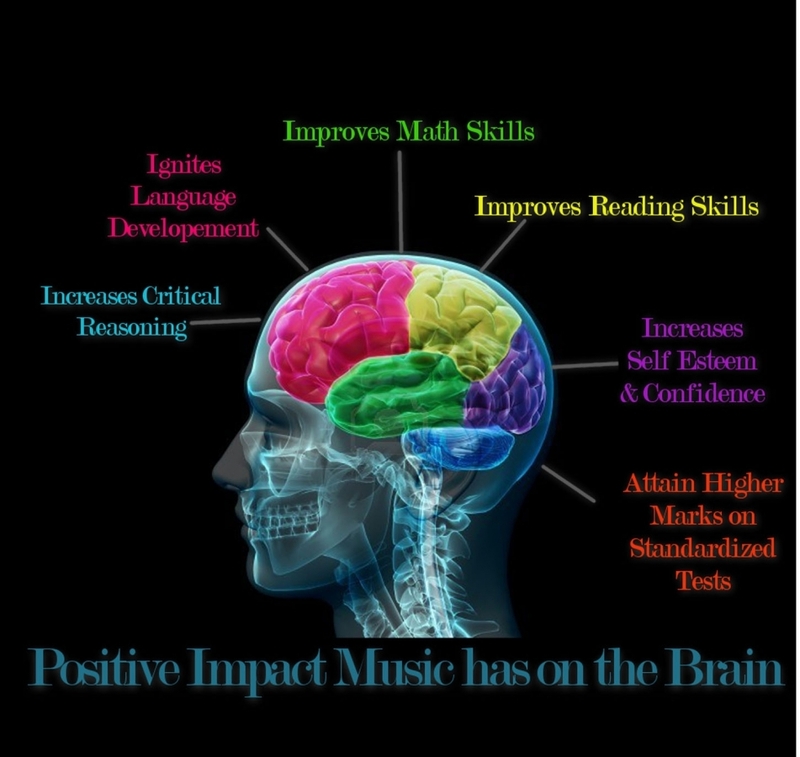 Music is intrinsic to all cultures and has surprising benefits not only for learning language, improving memory and focusing attention, but also for physical coordination and development. Not all types of music have favorable effects, however. Too loud or too jarring music can be distracting, and can compete for our attention with what we’re trying to do. But for the most part, exposure to music, specifically classics, has beneficial effects.In an instant, music can uplift our soul. It awakens within us the spirit of prayer, compassion, and love. It clears our minds and has been known to make us smarter.